Book your hotel in Alajeró. Book your hotel in Alajeró at the lowest prices on the market. In this section you might discover and book the best apartments and hotels in Alajeró, in the south of La Gomera. Select your dates and click Search to see the available hotels. Once you see the list you might click on each hotel for more information. ¡Quédate en Alajeró y disfruta de la paz! Villa Chica is a detached villa with a terrace, set in Alajeró in the La Gomera Region. The unit is 45 km from Playa de las Americas, and guests benefit from free WiFi and private parking available on site. 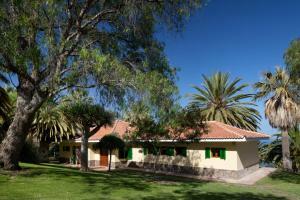 Casa Residencia is located in Playa de Santiago, 47 km from Playa de las Americas. Los Cristianos is 48 km away. Adeje is 47 km from Casa Residencia. The nearest airport is Tenerife Sur Airport, 61 km from the property.